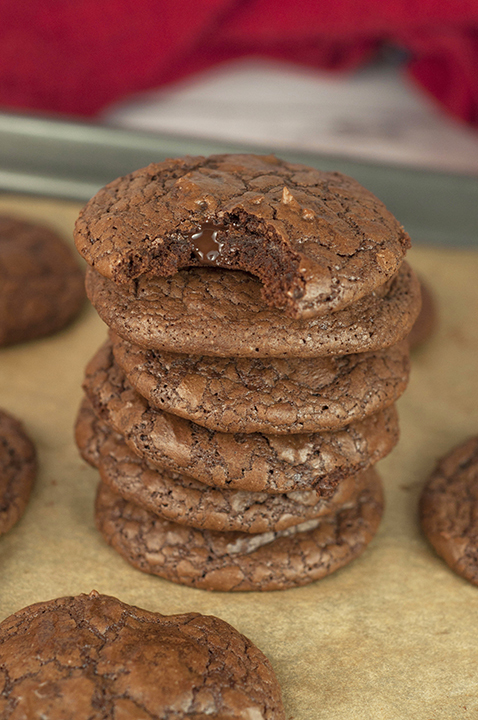 This recipe for Double Chocolate Truffle Cookies is for serious chocolate dessert lovers! Dense, gooey, fudge-like cookies with chocolate chips baked right into them. Hello and welcome to the most indulgent chocolate dessert I have posted in a long time. Call me crazy, but normally I’m not a huge fan of chocolate. 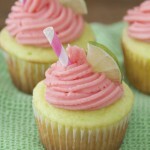 I tend to only post foods that I love on this blog because I’m selfish like that. 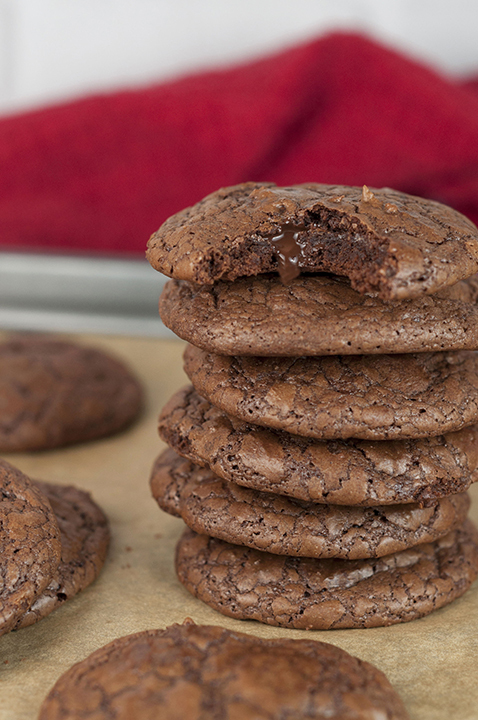 These Double Chocolate Truffle Cookies are amazing! I made them right before going on vacation and sadly had to only take a couple of bites and send them away to Mr. Wishes’ office so that they can get fat and not me (kidding, of course!) Parting from these cookies was not easy, let me tell ya. These Double Chocolate Truffle Cookies are a fun and fresh idea to jazz up ordinary chocolate cookies for Valentine’s day dessert or any occasion. Chocolate is appropriate every day of the year, right? The chocolate chips mixed into the dough slightly melt while baking and create the gooiest center of a cookie you can possibly imagine. 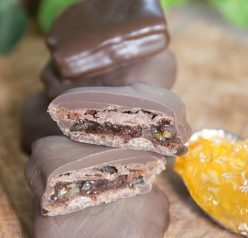 Chocoholics will go absolutely insane for these bad boys. This recipe is great because it uses ingredients you will most likely already have on hand. No having to go grocery shopping for any crazy ingredients! For that perfect gooey, creamy cookie center, be sure pull them out of the oven when they are still a bit glossy. Oh and a baking tip for you: these are best while warm and chewy. Enjoy them ASAP after baking! 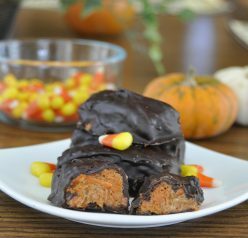 Click here for more chocolate dessert recipes to satisfy your craving. In the microwave on 50% power, melt unsweetened baking chocolate, semi-sweet chocolate chips, and the butter - stirring every 15-20 seconds - until smooth. In a large bowl, whip eggs and sugar until thick and pale, about 2 minutes. Stir in the vanilla and the chocolate mixture until well mixed. Combine the flour, cocoa, baking powder and salt in a separate bowl; gradually stir into the chocolate mixture. Fold in the bittersweet chocolate chips. Cover dough and chill for at least an 1-2 hours or overnight. Preheat oven to 350 degrees F. Roll chilled dough into 1 inch balls (using cold hands works best as dough will be sticky). Place two inches apart on wax paper-lined cookie sheets (or use silicone baking mat). Bake for 10 minutes. Allow cookies to cool on baking sheet for a few minutes minutes before removing to a wire rack to cool completely. Enjoy! Double? Chocolate? Say no more! These look wonderful — thanks. I definitely enjoy chocolate but given the choice I am a vanilla girl at heart! But man, these cookies! I’d happily eat these!